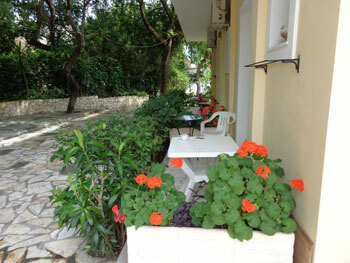 The Trenta Nove Studios is a small family- run business consisting of 8 studio apartments, located just 70 m. away from the famous beach of Tsilivi in Zakynthos. 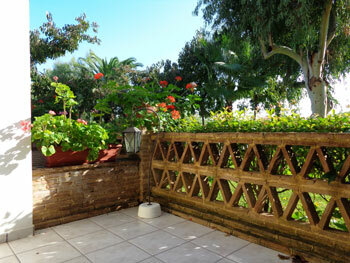 The studios are surrounded by a beautiful garden and all rooms have a balcony with sea view. All studios have independent air-conditioning, a safe-box, TV, fitted wardrobes, wall vaults, electric irons, hairdryers and other comforts. There is also free parking and free wi-fi service. 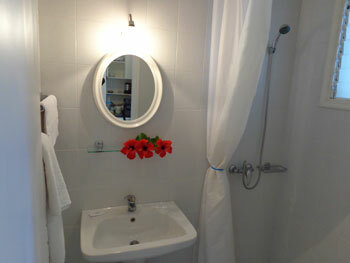 The bathrooms are spacious, clean and also recently refurbished. 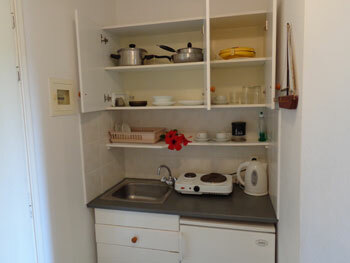 The kitchen area has a fridge, a hotplate, a kettle, a toaster and all necessary utensils. All apartments have twin beds but a 3rd or 4th bed will fit comfortably making them suitable for 2-4 people families upon extra charge. Maid service is daily and changing of linen is every 2 or 3 days depending on guests' needs. Check in is available from 12.30 pm and check out is at 11.30 am (times can be flexible upon arrangement). 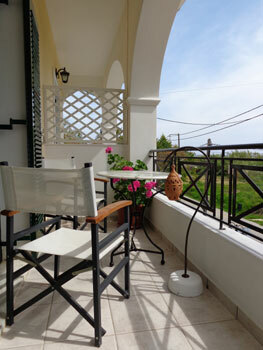 Our accommodation is pet-friendly, as long as your pet does not disturb other guests. Our traditional Greek tavern (Trenta Nove) is located in the building right next to the resort where you can enjoy delicious Greek food and great service in a lovely environment. On the ground floor there is small boutique shop where you can buy local artifacts and memorabilia. The owner, Dennis, will be happy to provide you with any information or assistance to help you organize your vacations and explore everything the island has to offer! Fun fact, the name of the studios comes from the small island overlooking Tsilivi bay and has its roots at the period of the island's Venetian occupation. Today, Tsilivi is a rather cosmopolitan area and its beach has been awarded with a blue flag for its clean waters for many consecutive years. You can enjoy the sea and sun as well as watersports, bars, pools and various cafes and restaurants around the area.